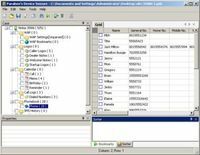 Control all user's actions and monitor all system events in your absence. Secure Office - when you need to know what your employees are doing at any time! A monitoring tool for tracking software and internet use. 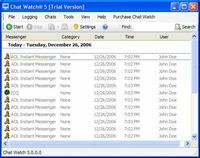 Chat Watch logs both sides of instant messages on AOL, ICQ, MSN, and Yahoo. protects against Spam and snooping on your internet habits and interests. Quick and easy-to-manage data protection solution to prevent data leakage. Fully Featured Enterprise Professional Video Surveillance Software. 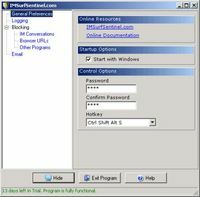 Try Family Keylogger. You have the right to Know! 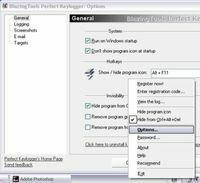 Monitor keystrokes on your computer and have the info sent to your e-mail. 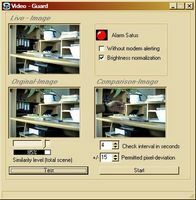 With honestech Video Patrol 5.0 you can remotely monitor activity in your home. Secretly record and capture all keystrokes typed when you're not around! Keeps a log of where your laptop goes and sends to an email address. LUPC monitors and limits user time on your home PC(s).